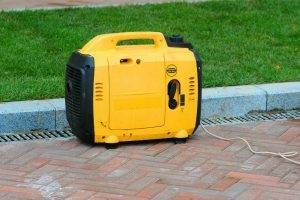 Whether or not you often experience power interruptions, it is always good to have a portable inverter generator at home. And when it comes to finding the best brand in the 2,000-watt category, the WEN 56200i Super Quiet 2000-Watt Portable Inverter Generator will always come on the list of top choices. This equipment is also ideal to bring to campsites, tailgates, as well as construction sites. Though it is small, its performance is great with its 2,000 surge watt maximum capacity and 1,600 rated watts. It promises to produce power with a pure sine wave that is safe for sensitive laptops, smartphones, and other electronics. Aside from this, you will also like its quiet operation that is around 51 decibels when it is at quarter load. To maximize your inverter generator, simply turn on the ECO-mode. This will automatically allow the motor to adjust the consumption of fuel. Meanwhile, if you need more than 2,000 watts of power, you may link two of the same inverter generators together through the use of parallel connection ports. With two 120V receptacles, one 12V DC receptacle, and a 5V USB port, you can charge your gadgets or power up your electronics in the kitchen or living room. The Wen 56200i is arguably the best 2000-watt portable inverter generator on the market today because of several reasons. One of them would be its inexpensive price, which is an important buying factor consumers must consider. This model makes it possible for people to afford a high-quality inverter generator that can almost match the performance of well-known brands. In terms of performance, one can say that this product is very reliable. Its features are the same as those of the expensive brands. One of the most remarkable features is the ECO-Mode that turns the motor to automatic mode when consuming fuel. This saves fuel and maximizes the use of your inverter generator. Other features worth mentioning are the low-oil shutdown and the low-fuel automatic shutdown. Included in the measurement of efficiency is the number of electronics you can plug into the inverter generator at the same time. As for this model, you have 4 ports: 2 for 120V AC electronics, 1 for 12V DC electronics, and 1 5V USB port. The USB port is a great feature because you can easily charge your tablets or smartphones. 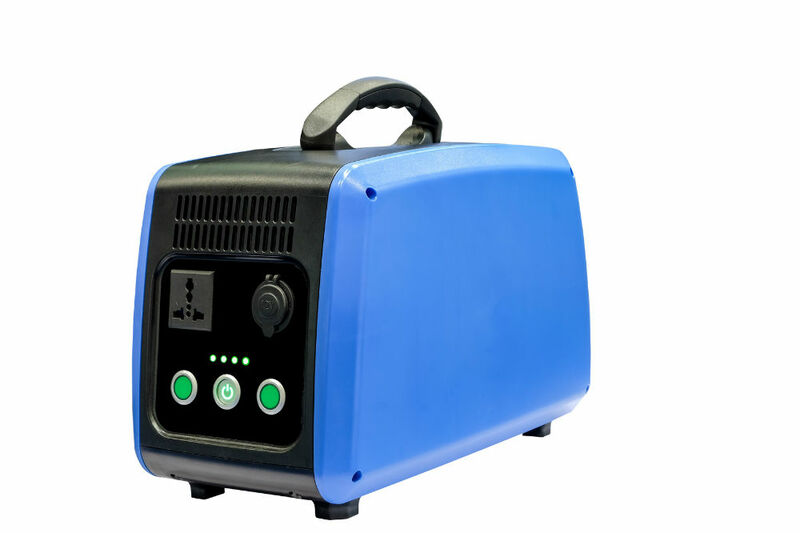 The maximum capacity of the inverter generator reaches 2,000 watts, producing 1,600 rated watts continuously. The inverter generator is ready for parallel connections, featuring parallel connection ports. This is very instrumental when you need more power. According to reviews, the average run time of this model is around 6 hours. For this reason, it requires less fuel and operates really quietly. And with its energy saver mode, you can expect to use it longer than that. This model is also made portable with its lightweight construction and carrying handle. You can conveniently take it anywhere because it is only 48 lbs. If anything goes wrong with the motor, you can rely on the 2-year warranty from the manufacturer. There are so many great features that this brand deserves to brag about. However, it is not perfect. One of the things that you should take note of is the average run time it provides. While 6 hours is good, it may not be enough for those who have large homes or those who are working in the offices for longer hours. Aside from this, it is also true that its runtime is shorter than other models at the same price. Some people also noticed the economy mode is rather ineffective, specifically when it reaches above 1,000 watts. The motor automatically switches back to the standard mode to accommodate the need. 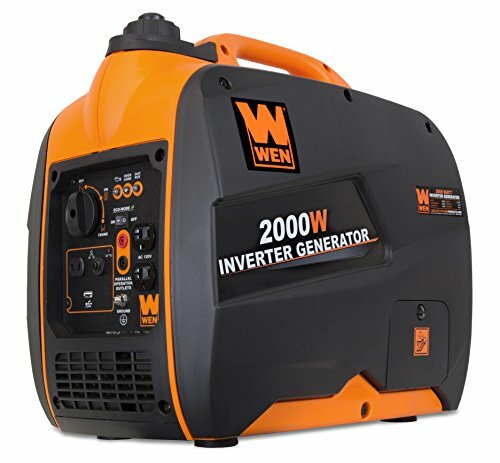 Despite some drawbacks, the WEN 56200i Super Quiet 2000-Watt Portable Inverter Generator still deserves to be included on the best portable inverter generator list. It is not as powerful as the leading brands on the market, but its features bring it to the competitive edge. Many people will benefit from the 5V USB charger for their small electronic devices. Aside from this, the energy saver mode is also great. Not all manufacturers provide a decent warranty and good customer service. These, you can count on from WEN. Overall, this model is highly recommended for its inexpensive price and reliable performance.